You knew this was coming, right? It is December after all. And if you remember my confession from last year, you know that I can't resist a predictable, sappy, happy-ending Christmas story. This was pretty much all of the above. Based on the Biblical account of Joseph and the coat of many colors, this modern story features Joseph Jacobsen, the twelfth of thirteen children. His father owns a successful advertising company, and Joseph is the apple of his eye. His older brothers are all aware of their father's bias, and they resent Joseph for it. Soon after the company wins a lucrative advertising campaign (thanks to Joseph's ingenuity), the brothers hatch a plan to get rid of him. They find out that the youngest brother, Ben, embezzled a substantial amount of money from the company, and they know Joseph will do anything to keep his younger brother from going to jail . . . including cutting all ties with his family and joining a large advertising firm in Chicago. Leaving his entire life behind without so much as a good-bye is understandably traumatic for Joseph, but he throws himself into his new work, and his talent and work ethic quickly pay off. Following the story of Biblical Joseph, modern Joseph rises and falls and rises again, and eventually wrongs are made right, and forgiveness is asked for and offered. 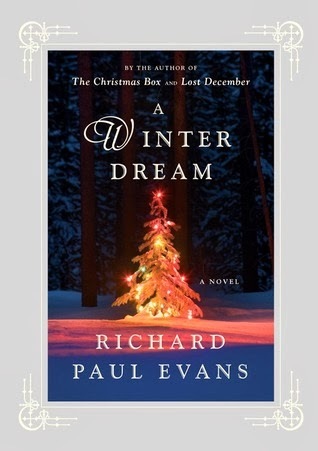 I've read two other books by Richard Paul Evans where he takes an old story and gives it a modern twist (The Christmas List, based on A Christmas Carol and Lost December, based on the Prodigal Son). I definitely like this format--it's fun to read something that is both familiar and different. But I also think there are times when the similarities can be carried too far. For example, in this book, Evans' kept all twelve sons from the original account. I have nothing against big families (I'm from a rather large one myself), but twelve sons (plus one daughter) in a fictional story can be rather cumbersome. Plus, he kept all twelve names fairly intact: Rupert, Simon, Levi, Judd, Dan, Nate, Gage, Ashton, Isaac, Zach, Joseph, and Ben (as opposed to Reuben, Simeon, Levi, Judah, Dan, Naphtali, Gad, Asher, Issachar, Zebulun, Joseph, and Benjamin). I almost felt like he should have just straight up used all of the actual names (but true, Naphtali is a little odd . . . ) or changed them all completely. And I think the point of the story (while still being true to the original account) could have been maintained with half as many children (it's not like Nate or Ashton ever got a speaking part anyway). But then, there were elements to the story that I thought were truly creative. For example, when Joseph gets "banished" to one of the New York offices (a dumpy building with only three co-workers who affectionately label themselves the L.B. OutKasts), I found the whole scenario very entertaining (especially when they gradually get their original positions back and when Joseph finally gets called up to the top). When Joseph's brothers banish him to Chicago, he gets hired by Leo Burnett, which apparently is a real advertising agency (I was not familiar with them before, but I guess I should have been--their clients include Coca-Cola, McDonald's, and Kellogg's). I don't really understand how an author can place a fictional story in a legitimate company, especially when the main character rises to the very top of said company. Does he have to get permission to use the company's name? Or since everything else is fictional (characters, accounts, clients, etc. ), is it just obvious that there are no real ties to the actual company? Unlike the Biblical story, this one doesn't have religious elements. Even though Joseph does have foretelling dreams, he doesn't attribute them to God's hand in his life; he never prays; he never attaches his success to God's help. I can't decide if I appreciated this omission or not. In one sense, yes, I think a fictional story should not include the same spiritual elements involved in a true account. But on the other hand, no, do we really have to make everything so secular? And finally, unlike some of Evans' other novels, this one had a decidedly rushed feel to it. There were times when I got the sense that Evans was looking at his checklist of Joseph plot points and said to himself, "And now, I need Potiphar's wife (i.e. Peter Potts' girlfriend) to seduce Joseph. Okay, they're at a party, she traps him in a room, and done. Next . . . " At times, it felt creative, but at other times it felt very contrived. Maybe Evans had an impending deadline with this one. Overall, I liked it. It was a fun story, and really, I never seem to get irritated with Evans' actual writing like I do with some other popular authors. So if you're in the right mood for a predictable Christmas story, I'd recommend it. I like the concept of a story based on a biblical one but made modern - it sounds interesting! Sounds like I need to try this one.